This step by step diy project is about how to build a garden bench. 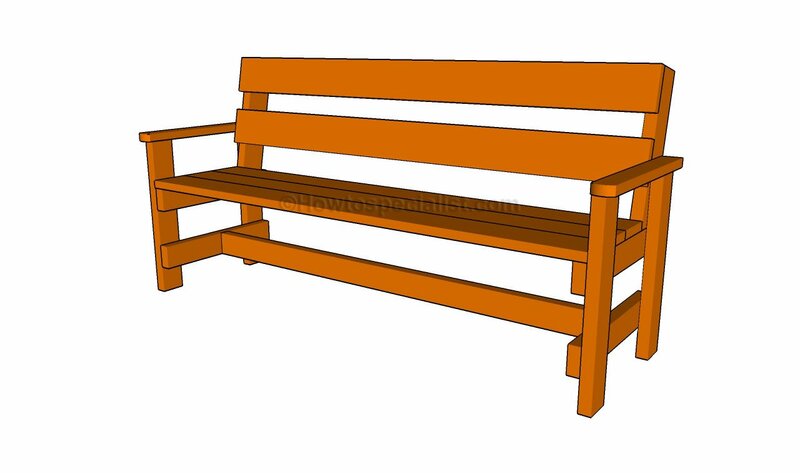 Building a garden bench is straight forward woodworking project that can be done in a weekend. If this project doesn’t suit your needs or the design of your backyard, we recommend you to take a look over the rest of the outdoor projects, as we are sure you’ll find something that has the potential to enhance the look of your garden. 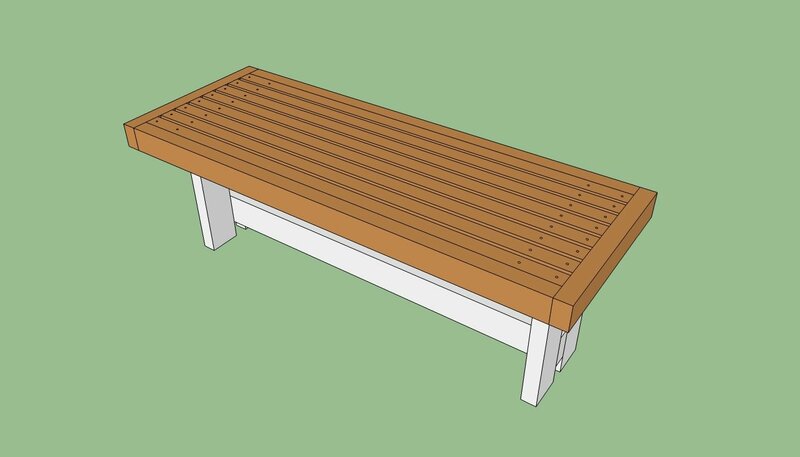 Building a garden bench for your backyard is one of those projects that don’t require a significant investment nor complex woodworking techniques. All you need to get the job done by yourself is a proper planning and quality materials. Select the lumber with great care (pine, cedar, redwood), making sure all the components are straight and in a perfect visual condition. Align the components at both ends and lock them together with screws and waterproof glue. Use a spirit level to check if the legs of the bench are plumb and if the stretcher and the seat slats are horizontal. Fill the holes and the cavities with putty and sand the whole surface with 120-grit sandpaper, in order to enhance the appearance of the garden bench. Adding the back support is a great idea and it easy to build. The first step of the woodworking project is to build the frame of the garden bench. As you can see in the image, you need to cut the legs from 2×4 lumber and to attach the braces on both sides, by using 2 1/2″ galvanized screws. Install a stretcher between the two sides of the bench, in order to reinforce the structure of the bench. If you want to add value to your bench, we recommend you to build a simple back support. Therefore, the first step if to attach the supports, on both sides of the bench, as seen in the image. Work with attention and with great care, making sure the supports are plumb and the tops at the same level. Smart Tip: Drill pilot holes and insert 2 1/2″ screws into the back legs. Add waterproof glue to the joints, in order to enhance the rigidity of the bench frame. Continue the woodworking project by installing the slats both to the seat and to the back supports. In order to get the job done in a professional manner, we recommend you to place a nail between the seat slats, as to create small and consistent gaps for water drainage. Smart Tip: Afterwards, attach 1×6 slats to the back support, making sure you leave a small gap between them and pre-drill holes before inserting the screws into the framing. Build simple armrests from 1×3 or 2×3 lumber, making sure you cut one end of the components in a decorative manner. Place the armrests on top of the legs, drill pilot holes and insert screws. Add waterproof glue for a better bond of the components. Last but not least, we recommend you to take care of the finishing touches. Round the exposed edges of the garden bench with a router and a 1/4″ bit and smooth the wooden surface, along the wood grain, with medium-grit sandpaper. Smart Tip: Fill the holes with putty and let it dry out for several hours, before sanding the slats. Apply several coats of stain or paint to the wooden components, if you want to protect them from decay. Thank you for reading our project about how to build a garden bench and we recommend you to check out the rest of the projects. 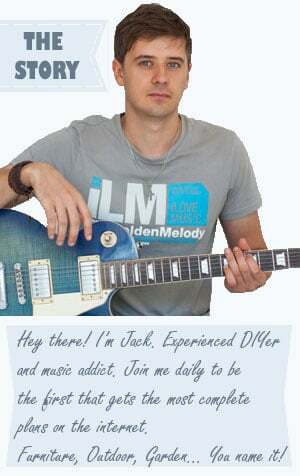 Don’t forget to share our projects with your friends, by using the social media widgets.